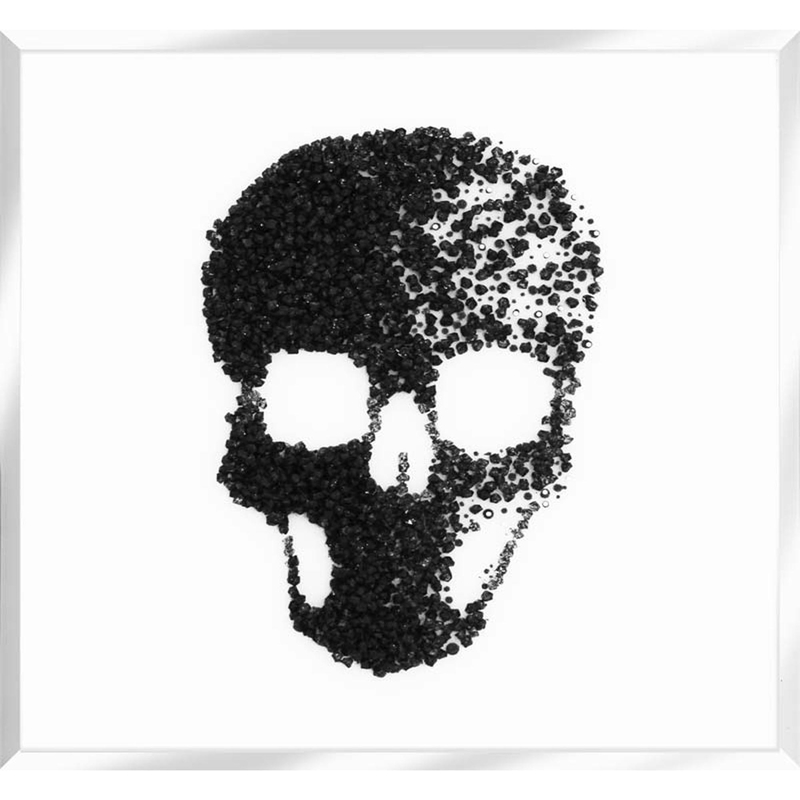 Complete your home with our new Black Glitter Cluster Skull on White. This piece has an amazing balance between a edgy and anatomy vibe and a chic or glamorous vibe. The skull has cluster crystals in the design, encased in glitter liquid glass which is what really makes this quite a glamorous piece. This will make a statement in your home and will not fail to impress.